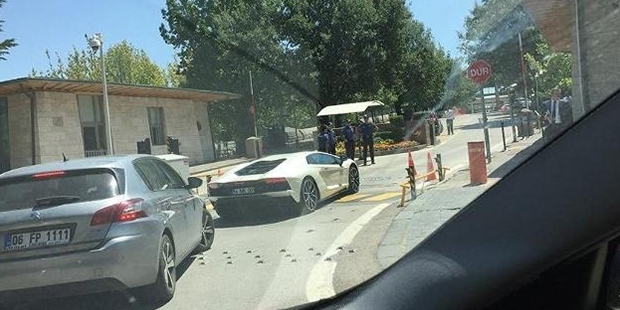 Former world champion motorcyclist and new Justice and Development Party (AKP) deputy Kenan Sofuoğlu has turned up to register for parliament in a 4 million lira ($850,000) Lamborghini Aventador S, drawing a mixed reaction from onlookers and the media. Party leader and Turkish President Recep Tayyip Erdoğan had once responded to complaints about increases in consumption taxes on motor vehicles by telling critics to “use a Fiat rather than a Porsche. Use a Volkswagen. Reduce your spending,” independent news site T24 reminded readers. Sofuoğlu was unrepentant about the vehicle, which he apparently parked in a space reserved for an opposition deputy, and said that his entire salary as a parliamentarian would go to those who needed it more. Sofuoğlu is the only motorcyclist to have won the Supersport World Championship five times. He retired from motorcycle racing six weeks ago at Erdoğan’s request to become a deputy.